For those coming on our Exotic Marigold Hotel experience in 2019. you might like to see this movie clip. Like the film, you’ll be in at the deep end; experiencing Indian life – its emotions and all its confusions at first hand. It’s going to be magical. Already people are booking our ‘second’ Exotic Marigold for 2020: we’ve a handful of places left. So if you might like to do something entirely wonderful, and enjoy an experience you’ll never forget: contact us. Angel Holidays. 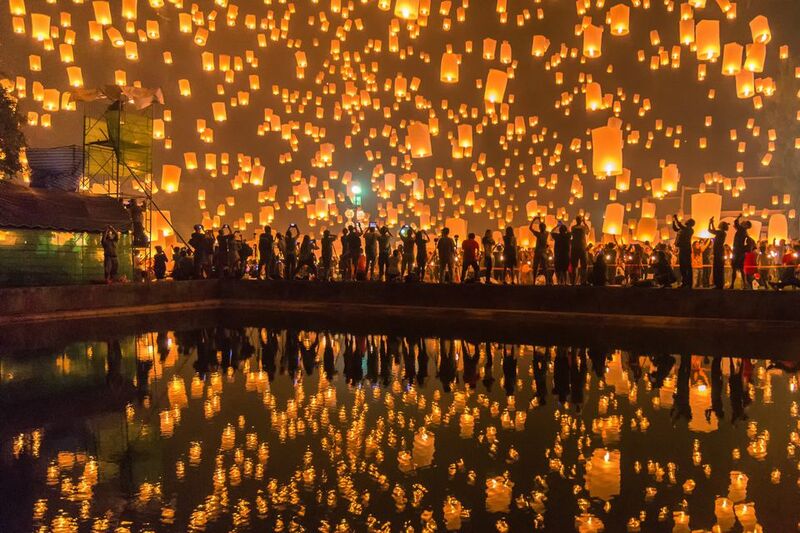 Each year across Thailand they celebrate the festival of Loy Krathong – a colourful event, where thousands of lanterns are released into a full moon, night sky. Those flying to Bangkok early enough on our tour, will be able to enjoy this wonderful event, perhaps along the river or in Lumpini park, central Bangkok. Our real exotic Marigold Hotel experience – identical to the BBC series – is already fully booked. In fact we could have filled all places twice over. The trip takes place next March, and plans are already afoot to schedule another date, to do it all again at some point later in the year. 15 lucky people will live in the city of Jaipur, just like the television programme and will see what retirement in India would bring. No doubt there will be some confusion, laughter and drama along the way, in this authentic experiment. If you might be interested in joining a future programme, please see our pages on this website. It promises to be a once-in-a-lifetime event. Wayne Sleep, participant in the first series, has wished us luck; in what he described as life changing. 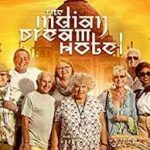 Angel Holiday’s Exotic Marigold Hotel experiment: where we’ll take UK retirees to India just like the TV show, is now full. A second one is planned later in the year. The group will stay in the same home used by Bobby George, Wayne Sleep, Jan Leaming and others, and experience many of the same things, plus more. This is no holiday. Here is some footage from the series. It begins with early morning laughing yoga – something we all need. We’re building a waiting list for our second Exotic Marigold trip. If you might like to come on this unusual, once in a lifetime experience, please contact us. Like last time, places are limited and we expect it to allocate places quite soon. Please click our ‘Exotic Marigold Hotel’ page for details. In just over 4 weeks, our next group will travel half way across the planet, and up into the Himalaya, to Nepal. They’ll be 6,000 miles away from their nearest Wetherspoons! Kathmandu, a busy thriving metropolis, awaits to greet our passengers – in what will be an enthralling and extremely colourful trip. Expect a shock to the senses. You’ll stay near Thamel, the lively, hippy backpacker district with over 100 bars and restaurants, and yet a 5 minute stroll to local Nepalese life – these exciting first few days combine with a flight over Everest! You’ll be in the heart of some of the busiest markets on the planet and see spiritual rituals you’ve never witnessed before; it’s going to be fabulous. After Kathmandu, we move to the medieval city of Bhaktapur – an altogether quieter and surreal city as if frozen in time – it has been used as the film set for ‘Little Buddha.’ Then it’s the jungle, riding elephants through rivers, followed by the birthplace of the Buddha (staying in a monastery) and Pokhara – a beautiful lake overlooked by the Himalaya. 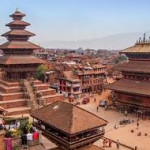 The very name ‘Kathmandu’ conjures up so many romantic images doesn’t it: the end of the Hippy Trail, the beginning of the remote east, and a city in the mountains…… If you want to make a last minute plunge and join us, it’s easy, visas are available on arrival…. A 35 page guide book written by Angel Holidays will accompany your trip. Vietnam: and with our first tour next April already full, we are planning another one later in 2019. 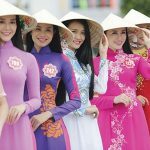 From north to south, the tour is an exceptional experience, and good value too; including an overnight cruise in Halong Bay, atmospheric Hanoi, a train along the coast and over the Hai Van Pass, time to relax on the beach, the Mekong Delta, and Saigon. Accommodation is a mixture of 4 star hotels, rustic lodges and more….If you might be interested, please let us know and we can add you to our wait list. Thank you. Tonight at 8pm on BBC 2, there’s a new series of the ‘Real Exotic Marigold Hotel,’ where celebrity retirees are taken to India to see what retirement might bring. We’re sure this series, like the previous ones, will prove popular. Many viewers would think ‘I would like to do that.’ Of course with Angel Holidays you can, as in March next year we’re taking retired adventurers to the same house used by Myriam Mygoyles, Jan Leaming and others, for the exact same adventure. You will also visit magical Udaipur, the location of tonight’s programme. So, after enjoying the show, if you want to have this once in a lifetime opportunity, why not contact us? For those coming with us on this unusual travel experience next March, you may wish to watch this video of the BBC series. You’ll be following in the footsteps of Jan Leaming, Wayne Sleep, Miriam Margolyes and others and staying in the exact same house. 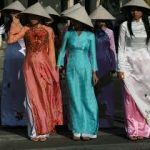 We’re pleased to announce that Angel Holidays will be offering its first tour to Vietnam next April (7th – 20th), and it’s going to be superb. On this comprehensive tour you’ll see the highlights of the entire country, travelling from north to south. This holiday includes two internal flights and is priced at only £1,195 – with further discounts for previous Angel travellers. We hope this represents excellent value. Travelling by private bus, traditional boats, train, plane and cyclos, you’ll get a real experience of this country, and its people. You’ll visit evocative Hanoi, spend a night near the Karst jungle where they filmed King Kong, take an overnight cruise in Halong Bay, travel by train over the Hai Van pass and along the coast, enjoy some beach time, see the exotic Mekong delta and Saigon. You can also visit some sites of the US/Vietnamese war. 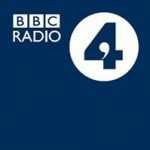 For those going on our Angel Holidays tours this year with Radio 4’s Steve Carver, you might like to listen to your host. Here he is living the life of a ‘trade plater’ for his BBC Radio 4 series – where he experienced many unusual British jobs. Typical to Steve, there’s a mixture of the poetic, the humorous, together with warm, engaging interviews, as he looks at those who deliver cars for a living. His producer, particularly liked this programme, and managed to insert a Human League track, a band in her youth that she loved, and a first for Radio 4. We hope you enjoy the show. You may have to cut and paste this to listen, depending on your browser.